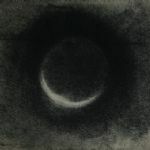 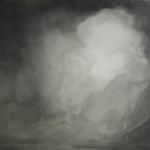 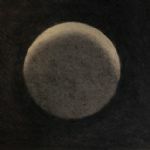 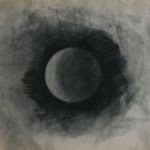 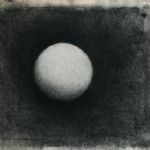 The exhibition starts with Fergus Hare’s awe-inspiring installation of 20 or so charcoal drawings of the Moon and other cosmic phenomena. 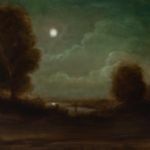 The Moon also often features in the small jewel-like nocturnal landscapes (deceptively traditional-looking oil paintings) that follow, but it shares the sky with dramatic clouds. 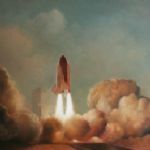 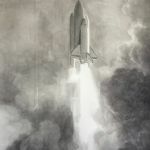 The next set of paintings reveal an equal interest in contemporary mechanisms of space observation and travel: satellite dishes set against the sky at different times of day; rockets and space shuttles blasting out fire and smoke on launching. 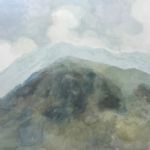 Finally, Snowdonia is the focus of the latest paintings in oil and larger works in watercolour. 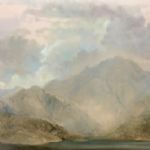 The mountains compete with the sky and the elements in these works of watery sublimity. 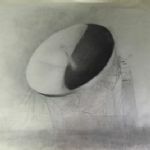 Fergus Hare is an enthusiastic observer of the cosmos and the earthly sky but this enthusiasm is matched by a serious dedication to the craft of transmitting his vision (literal and artistic) to paper, board or canvas. 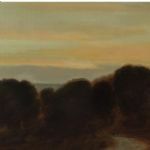 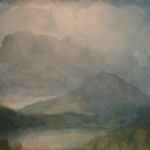 Whilst the small nocturnal paintings recall the rural idyllic scenes of Samuel Palmer and the depictions of clouds have forerunners in the cloud studies of John Constable, his ambition is not to imitate these artists, and others that he admires, but to use them as bench marks of the quality of work to which he aspires. 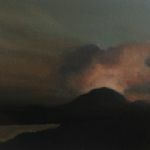 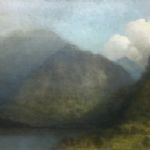 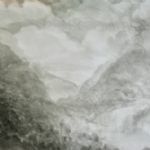 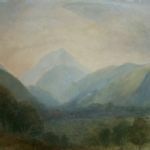 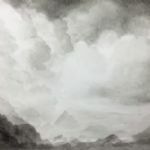 He loves to be and paint out in the landscape but allows himself the artistic licence to alter the work as the day progresses and make adjustments later in the studio. 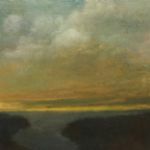 The painting is not, as it were, a snapshot in time and space, but an accumulation of observation, impression and decision making. 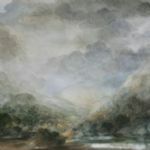 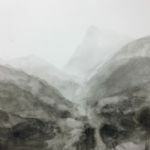 Since graduation he has exhibited regularly in London, Sussex and Kent, most recently with New Art Projects, London with whom we have collaborated to present this show.